James Stocklas and Bob Stocklas: A Lottery Rivalry for the Ages? But, What About Brother Bob? James Stocklas and Bob Stocklas: A Sibling Lottery Rivalry for the Ages? 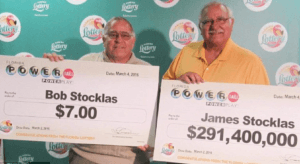 James Stocklas and Bob Stocklas made headlines when they both won the US Powerball draw on March 4, 2016 and even now, buzz about the two has yet to die down. No, they are not receiving all of this media attention because of the size of their jackpot. This win wasn’t anywhere near record-breaking levels. 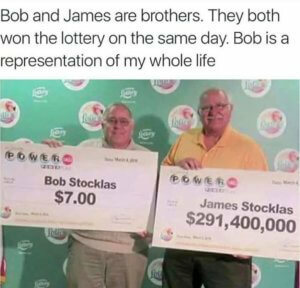 The Stocklas brothers’ combined prizes were just north of $290 million – which is a fraction compared to those of the biggest lottery winners of all time. So, what was the big deal? Two words: entertainment value and a win that would truly test the sibling’s familial bond. James Stocklas, then 67 and a Pennsylvania senior district judge, bought his winning ticket on the way home from a fishing trip in the Florida Keys. 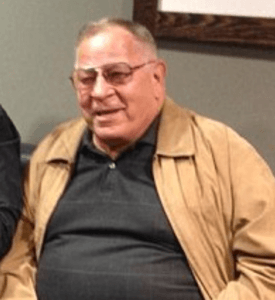 Together with his brother Bob, he stopped by a Tom Thumb store in Marathon, Florida, where they bought a bag of ice and $10 in Florida Lottery tickets. Little did they know that the shock of a lifetime would be waiting for them when they returned to Pennsylvania. While having breakfast with his friend Anna at their usual diner, James Stocklas checked his lottery numbers and began yelling and jumping excitedly. James Stocklas had just become the sole winner of a $291 million jackpot! But What About Brother Bob? As it turns out, Bob Stocklas won in the same Powerball draw, too! There was one minor difference, though. 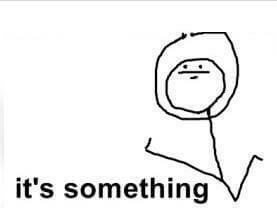 While James was on his way to millions, Bob Stocklas won a grand total of $7. If you only know James and Bob Stocklas by the memes spawned from their publicity photo, you might think they had a bitter sibling rivalry going. They’ve certainly made many siblings think twice about buying lottery tickets together. Luckily, the Stocklas brothers’ relationship couldn’t be farther from the memes. In an interview with Lehigh Valley Live, James Stocklas shared that he and Bob used to talk about what they would do if they ever won the lottery. The Stocklas brothers didn’t just keep the money between them, though. The moment James Stocklas discovered he’d won, he treated everybody at the diner to breakfast. He even spent $20,000 on a private jet to take him, Bob, and their buddies to Florida to claim their prize together. James also split his prize equally with two friends: Barry Bartakovitz and Anna, the same friend who was with him at the diner. The three had been friends for over 40 years, and they frequently formed lottery pools for big draws. James opted for a lump sum payment of $191,470,307.58 and when all things were said and done, James and Bob Stocklas both ended up with about $40 million after taxes. The Stocklas brothers grew up in Pennsylvania; in the Clearfield Public Housing Development before the family’s eventual move to Lower Nazareth Township. During the Bethlehem Steel Strike, with their father William then working for Bethlehem Steel, the family found themselves scrounging potatoes for food. James Stocklas eventually went on to work as a floor sweeper, then a millwright at Bethlehem Steel. Bob also joined him at the company. In the 1970s, James quit his job to run for jury commissioner and won a 4-year term. From there, he went on to earn a seat in the city council before spending almost 32 years as district judge. 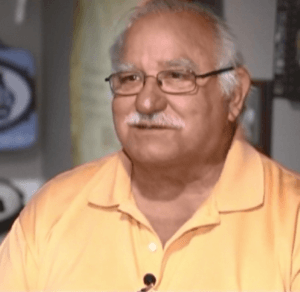 James had been retired for 7 years when he won the Florida Lottery jackpot. Aside from helping his brother Bob, James Stocklas said he would use the money to buy a handicapped-accessible home for his son Jimmy, who is legally blind and disabled. He would also help support his daughter Teresa and her family. James was also intent on paying his luck forward, with plans to donate some of his winnings to various charities. As for his job as district judge, he quickly told court administrators that he would be back on the bench despite his jackpot win. It turns out the Stocklas brothers’ story is less of a sibling rivalry and more of a family triumph. If anything, Bob seems to be the luckiest one – what with having a generous soul like James for his brother. Would you have done like James and shared the wealth? Share your thoughts in the comments! If you enjoy amazing lottery stories like this one, you should definitely check out this story that was inspiration for the movie It Could Happen to You where a New York City cop splits a $6 million winning lottery ticket with a waitress. At Instagram, there is a Makro erwin who acts under the name of Mr James Stocklass. He does offer amounts of $30k as giveaway for free out of generosity, to pay via FedEx, however the receiver should prior to “payout” pay upfront the process costs of FedEx, discussing the details per Gmail. A clear scam if you ask me. Yup, definitely a scam. Thanks for giving everybody the heads-up.